[Word Wise] Pre-Writing Step 2: Which Writing Channel Is Right for Your Project? 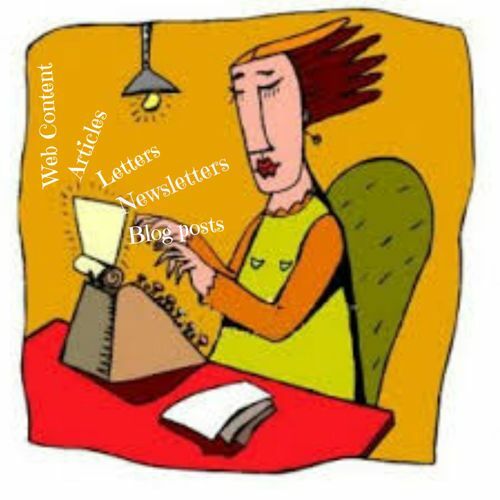 Every couple of weeks, we’ll send you this newsletter packed with practical and useful writing tips to help you learn how to write better and how to write faster, no matter how much or how little writing experience you have. Nonprofit Copywriter is on Pinterest. Join us! Do you want to write faster, clearer, and get more projects done? Pre-writing is the key. In the last issue, you read how to take the first pre-writing step in any writing project: identify your goal for the project. Your next step is to identify your writing channel. A writing channel is the medium you choose. Social media posts are short, engaging, to the point and even pithy. Web content uses bullets and a lot of white space. A grant application must present a problem, a solution, and a case. An article has an introduction with a summary sentence, supporting points (with plenty of examples, facts, and details), and a conclusion. An appeal letter or direct mail piece grabs the reader’s attention, creates interest and desire for the reader to take an action, and then gives the reader a clear call to action with a way to respond. Research papers, brochures, , case statements, devotionals, white papers cover letters, resumes, donor acknowledgements … in each case, you can use similar content (information.) But each channel uses a different format and tone. What kind of project are you planning to write? Choose one channel to start with, even if you plan to repurpose your content for other projects. Your choice will define how long your piece will be, the format it will take, and the tone you use. Know what channel you’re writing for before you begin to write. You’ll save time and you’ll write a better piece. Look for more simple pre-writing tips in the next issue of Word Wise. 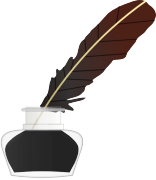 Read more about pre-writing here. And check out more writing tips on our Writing Tips Pinterest board. Check out more inspiring Quotes about Copywriting and Writing on our Pinterest board. 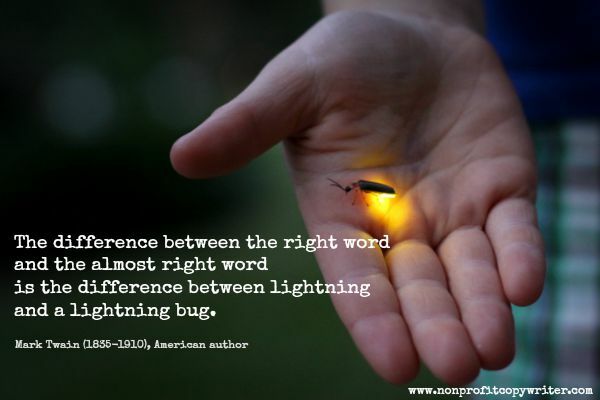 Words matter ... use them wisely! P.S. Invite friends and colleagues to subscribe to Word Wise. Forward this issue or send them a link to Nonprofit Copywriter where they can sign up.